Limahl Asmall and partner Tiphaine Cheveau are a London based couple with a passion for affordable food. They developed the ‘Tiny Budget’s cookbook’ to teach people how to eat delicious food for £18 per person per week. 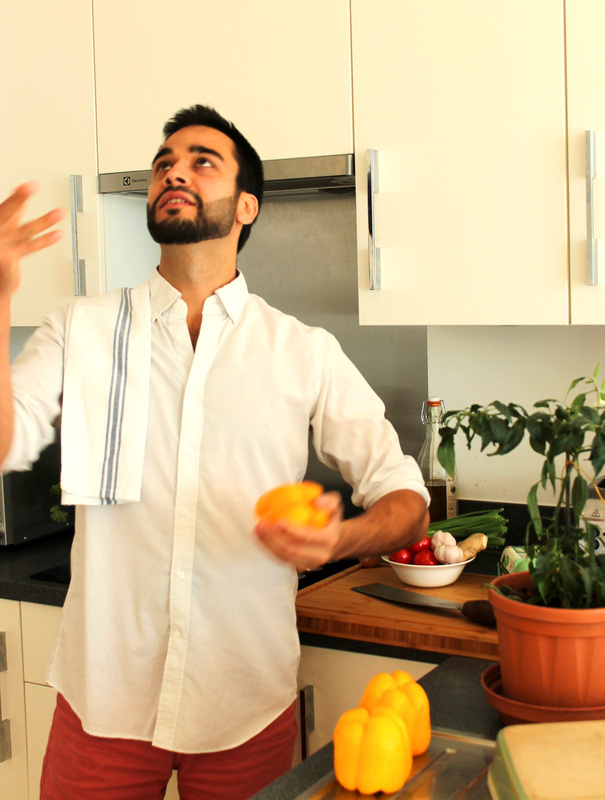 I spoke to co-creator Limahl Asmall on the book, cooking and the future of Tiny Budget cooking. 1) What made you want to create the book? Well it’s a similar story to many really- one of little money! Six years ago I had graduated from a masters degree with a tonne of debt, London’s sky-high rent going out and very small amount of money coming in. Years before I had worked in a great kitchen in Edinburgh and started to challenge myself to eat delicious meals on my tiny budget. After a year or so my housemate mentioned that I should start writing these recipes down and so set about putting pen to paper. Once Tiphaine, (my girlfriend and wing-woman in the cookbook) came along we found that we could eat well for around £18.00 each per week. We had this thought that there must be thousands of people in a similar situation to us and that perhaps we could offer them a cookbook which showed them how to do it. It evolved from there and we’ve spent the last two years creating the recipes, content, shopping lists and images – and then we gave it all away for free to over 30,000 people. It’s been a great start and we’ll work with a publisher to bring out a printed cookbook next year so we can make great food achievable for even more people. 2) What made you want to give the book away for free? We want to make great food achievable for everyone, and although we also need to make a living, we’ll always try to keep some free content for those who need it most, and it just seemed the right thing to do! The free pdf version has been downloaded over 30,000 times in 9 weeks which really shows us that people are searching for ways to eat well on a limited budget. 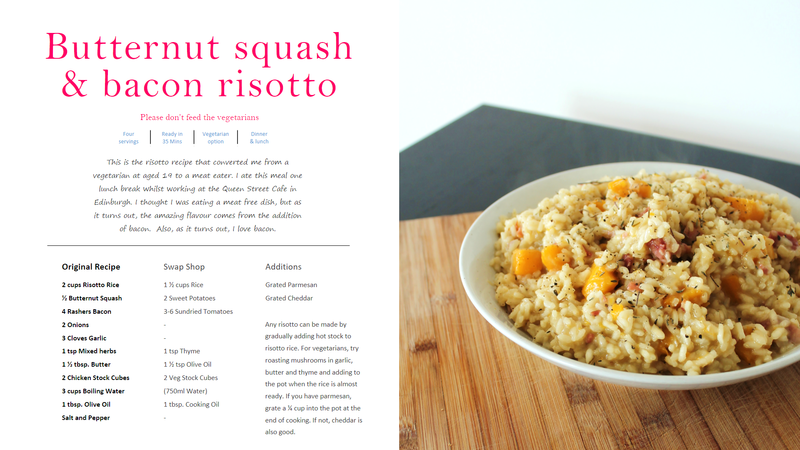 3) What inspired you to create the recipes in the cookbook? We made food that we’d be proud to serve to our friends and family. It’s a great menu of recipes from around the world, and we’ve developed a clever swappable ingredient tool which allows you to personalise each recipe – So if you don’t have an ingredient, or just don’t like one, you can swap it for one of our suggestions and it will still taste amazing. 5) What are your top 5 tips for eating healthy on a budget? 1. Don’t go food shopping when hungry – It’s been proven that’ll you’ll end up spending more, and most likely on things you don’t need! 2. Buy own brand – There’s the only difference between branded and own-brand products are the packaging ad marketing budgets. Check the labels and go for the one with less added sugar and chemicals! 3. Love your freezer – Buy discounted meat with a day left on it’s use by date. Freeze it at home for up to 3 months, just remember to defrost and cook it the next day. 4. Buy in bulk – If you can afford the initial outlay, dry and long-life goods such as rice, spices and toiletries etc will cost less per kg when purchased in bulk. 5. Buy Big Flavours – budget cooking is a game of flavour combinations where the addition of big flavours can turn a recipe from the mundane to the mouth-watering. There’s a list of Big Flavours in our cookbook for your to start with. Try to keep your cupboard stocked with some of these and you’ll be guaranteed to make delicious meals.